We feel like we're in a treehouse in India when we're in the loft. Saw a post on Apartment Therapy recently about how many is too many pillows. Here’s a glimpse of our upstairs sleeping loft. 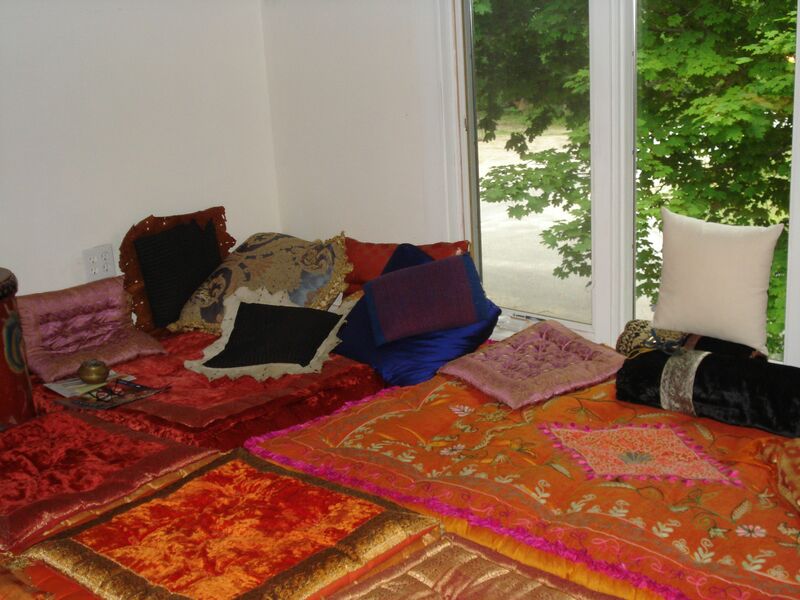 We completely covered the floor in square cushions and an embroidered futon. We love lounging around up there. I do need to paint the walls, though. Any color suggestions?